Large margins of error in polar bear population estimates means the conservation status threshold of a 30% decline (real or predicted) used by the US Endangered Species Act and the IUCN Red List is probably not valid for this species. Several recent subpopulation estimates have shown an increase between one estimate and another of greater than 30% yet deemed not to be statistically significant due to large margins of error. How can such estimates be used to assess whether population numbers have declined enough to warrant IUCN Red List or ESA protection? 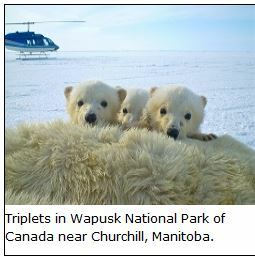 What do polar bear population numbers mean for conservation status, if anything?